Electrical Inspection, HVAC Inspection, Water Heater Inspection & Roof Inspection. 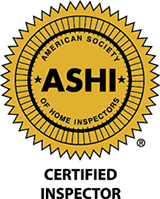 A complete inspection from top to bottom will ensure your property is in good condition for your guests! Radon is the 2nd leading cause of lung cancer in the US. Make sure you and your family are protected.